Piplia Haveli is an opulent mansion built in the 18th century as the private ‘city’ residence of the Jagirdars (nobility) of Thikana Piplia. A splendid illustration of Rajputana art & architecture, this imposing edifice has lived through several fascinating chapters in the history of Mewar or the erstwhile state of Udaipur. In 1981, when Thakur Chandra Bhanu Singh, the scion of Piplia family returned after obtaining a degree in hotel management from Salzburg (Austria), he took the initiative to restore the Mardana section (men’s dwelling area) of his family home. With his immense hard work and persistence, Piplia Haveli emerged as a resplendent abode of the bygone era, etched with contemporary luxury & comforts synonymous with a premium heritage hotel. 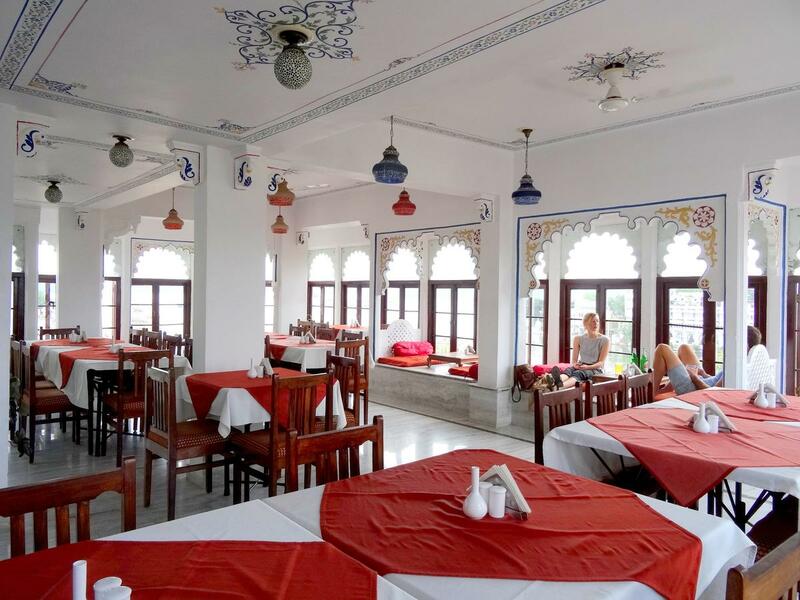 It was named Lake Pichola Hotel owing to its proximity to the famous lake with the same name, and opened its doors to discerning travellers from across the world in 1985. Located on the peaceful island of Bramhapuri on the western banks of Pichola lake, the hotel is away from the hustle-bustle of the congested old town, and yet, just a 5 minute walk to all the famous monuments, restaurants and cafes. Front Desk, Complimentary Newspapers in Lobby, Express Check-In/Check-Out, Restaurant, Airport Transportation, Laundry Facilities, Catering, Currency Exchange, Backup Generator, Doctor on Call. Safe Deposit Locker Facility, Iron/Ironing Board, Child Care, Ceiling Fan, Moisturiser, Coffee Table, Attached Bathroom, Air Conditioning Room, Dustbins, Cable/Satellite TV. User reviews for "Lake Pichola Hotel Udaipur"